Modern spacious light filled home custom built for its rural environment highlights mountain views. Upgrades, 360 degree views, all one level, open concept, gourmet kitchen with quartz top baking island, two ovens, wheelchair accessible, bamboo hardwood floors, picture insets, 40 yr roof, underground wiring, high speed Internet, Pex plumbing for home and to well, deck, patio. 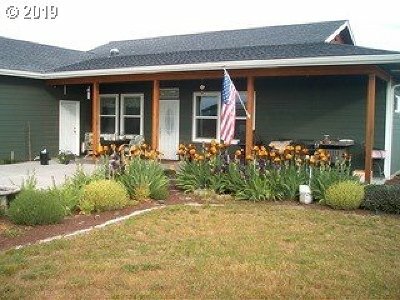 4 miles to town in a quiet sparsely developed neighborhood.